Osama Heikal, the head of the Egyptian parliament's media, culture and antiquities committee, told reporters on Wednesday that a meeting will be held today to discuss a report prepared by the State Council on its constitutional and legal revision of three new laws regulating the press and the media. "These are the laws on the National Press Authority (NPA), the National Media Authority (NMA), and the Law Regulating the Press and Media, which were provisionally approved by parliament on 10 and 11 June," Heikal said. Heikal said the State Council's report on the three laws said a number of articles needed to be amended. "The report did not say that these articles violate the constitution, it just said they have to be amended," Heikal said, adding that "the State Council's remarks on certain articles are marginal and by no means affect the core and philosophy of the three laws." "Please also remember that parliament was keen to refer the three laws to the State Council to make sure that they are free from any legal or constitutional defects." The State Council said some of the articles of the three draft legislations represent a direct assault on press freedom by stipulating journalists must secure a prior approval before covering certain events or conducting interviews in public places. The Council also said journalists and media workers should be granted the right to appeal the Higher Council for Media Regulations (HCMR) decisions before administrative courts. The legislation has been criticised by the Press Syndicate. 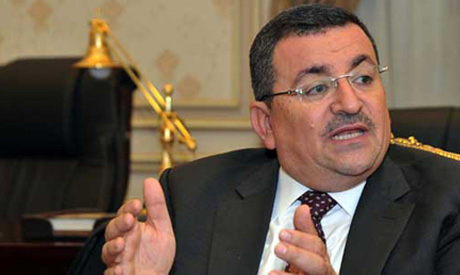 Head of the Syndicate Abdel-Mohsen Salama said there are disagreements on eight articles of the laws and that negotiations can settle them in a peaceful way. "No one should pour oil on fire," Salama said. In a press release on Wednesday, the syndicate said "there should be an objective and constructive dialogue between the syndicate and parliament on the articles which have to be amended." The release added that "as the State Council demanded that some articles have to be amended because they violate the constitution, so the Syndicate extends a hand to parliament and state authorities in order to open a new dialogue on the new controversial articles." "We advise that there should not be a final vote on the three laws and that we recommend that a national dialogue on them be first held and that it should include parliament speaker Ali Abdel-Aal, Minister of Parliamentary Affairs Omar Marawan, and members of parliament's media, culture and antiquities committee in order to reach common ground on the laws and its articles," the release concluded.